Are you a modern woman living in a modern world? Maria Clothing is for you. They cater fashionable clothes for modern Filipina. Expect it from Sunday dresses to everyday style, formal ensembles to casual chic and a striking boho look to alluring evening outfits every girl must have, they have it. 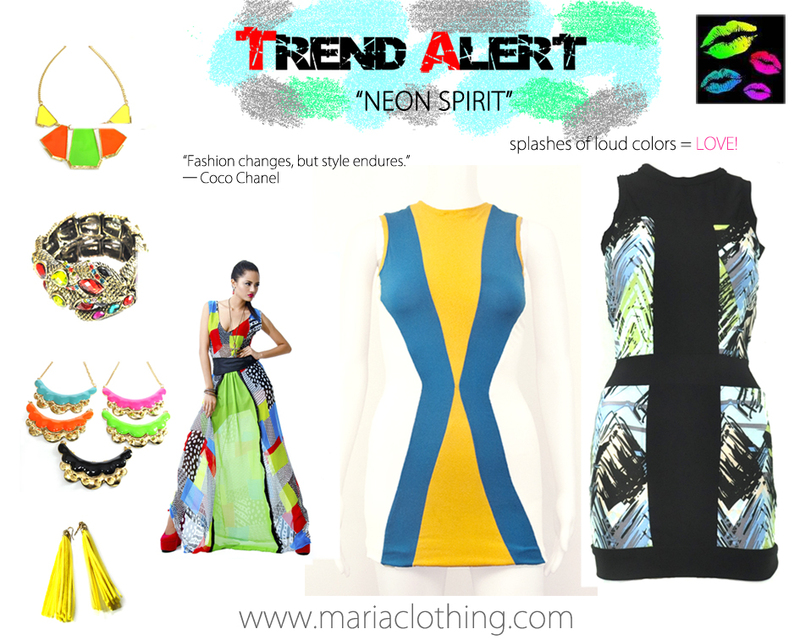 Neon Spirit -- Splash of loud colors equals LOVE! I totally agree with it. I love colors! It gives an outfit a life. It speaks for itself. Because Maria Clothing is so generous! Help us to have 1000 likes on facebook for more giveaways to unveil. Tell your friends and help us to go viral. We will choose 5 lucky readers/ followers to win these awesome tribal/ printed shorts. So what are waiting for? Join the contest! Keep on liking, sharing, reblogging, and tweeting NOW! Another on going blog giveaway! Join now here.